For more than 40 years, Kerry Joyce has been one of America’s most preeminent and versatile decorators. Now 66, he began his career as a set designer in the New York theater world, scooping up an Emmy in 1978. 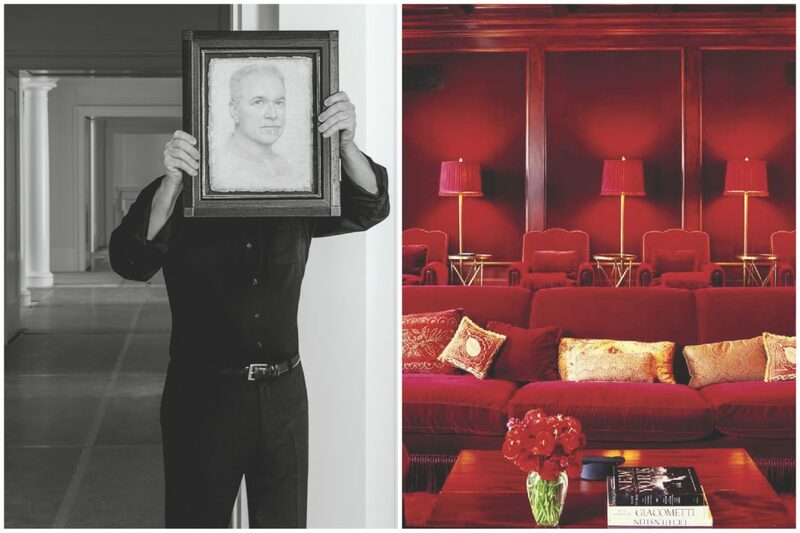 In the years that followed, the L.A.-based Joyce amassed a boldface-name client list that includes Vice cofounder Shane Smith, hotelier Ian Schrager, and MTV cofounder Tom Freston, and launched lines of rugs, furniture, and lighting in the early ’90s. Now he’s set to release The Intangible, a monograph providing a career-spanning review of his work, as well as a distillation of his design philosophy. We spoke with Joyce about the book and his career. You’ve noted that you approach projects with a “cinematic point of view.” What does that mean? Coming from the theater, most of my projects have a quiet, not obvious, theatricality about them. When you see one of my rooms for the first time, the initial view when you first enter, I consider that my establishing shot or stage picture. I design the room to look perfect from this first view. It’s like composing a painting—rooms need to have balance, proportion, and pleasing composition. What tip would you give to someone who is decorating a house or apartment? Always go out of the way to feature a garden view if possible. I think it is important to always have a glimpse of nature, a touch of green. It’s the advice I give everyone. How do you do that in cities where nature is not so close? I am very much the decorator, but if possible, I try to use minimal window treatments, and sometimes none, if the landscape can ensure privacy. It’s extremely settling to be surrounded by garden and nature. I recently bought my New York pied-à-terre, and my prerequisite was that it had to have a view of green. I was delighted to find an Upper West Side apartment that has spectacular views of Central Park with the backdrop of city lights. After a long day working or playing in the city, my apartment is my oasis, where the art of my view is nourishing and calming. You helped hotelier and Studio 54 cofounder Ian Schrager update a Southampton beach house. He’s notoriously demanding. What was it like working with him? Well, he’s the quintessential impresario of design. His impact has been amazing—both domestically and internationally. I was intrigued to work with him. Ian has a strong, innate aesthetic. He did not want it to feel like a hotel, but a warm family home, so if I wanted to show off, it had to be subtle and feel original to the house. Does the home have any unique pieces? Another of your clients, Vice cofounder Shane Smith, has talked about his prized Augusto Giacometti painting. How did you integrate it into his home? The Giacometti is one of Shane’s favorites, and I wanted to hang it somewhere where he could experience it every day. We found the perfect place, near the entry to the master suite, which seemed the ideal location to give it the place of honor it deserves. their designer. Does their friendly rivalry affect how you work with them? Shane has always loved Tom’s townhouse on the Upper East Side. So when the Smiths bought their first home, they decided I was the right person for the job. I don’t think they share a rivalry; I think they are good friends. But both Tom and Shane have always shared a mad passion for antique rugs. Freston’s townhouse was owned by Andy Warhol. Are there any carryovers or homages from the artist’s time there? We kept most of the original architectural details and were blessed with several beautiful marble mantles that Warhol had collected. When I first did this home many years ago, we furnished it in a traditional manner, and recently we changed many of the furnishings to classic Modern and Midcentury Modern. The Intangible is the first monograph of your 40-year career. Why did you release it now? It was long overdue. I am somewhat myopic. When I am working on projects for my clients, I give them my undivided attention, which did not leave the time needed to produce a book. So, finally, I made myself the client. The process of creating my book was a wonderful experience, helping to crystallize my design philosophy into words, and choosing an overview of my past and recent projects. the AIDS crisis. How did all the losses sustained during that time come to affect the industry today? All of my best friends from my mid-20s to early 30s unfortunately passed—so many talented and special people. This generation or two disappeared from the world without fanfare. The world has shamelessly not addressed the magnitude of the loss of these vital and creative individuals. Speaking of this has made me extremely melancholy. I miss them. It did matter. RELATED: Where to Find the Prettiest Pendant Lighting in L.A.
Where to Find the Prettiest Pendant Lighting in L.A.